Do you get tired of spending a fortune on doormats? If you want something fashionable, you have to give an arm and a leg for it. Even for the basic doormats, you still pay a ton of money, and they don’t last. Before you know it, you’re tossing more money in the trash. Well, I’ve had a similar experience, which led me to think about how I could save some money without giving up on a doormat altogether. 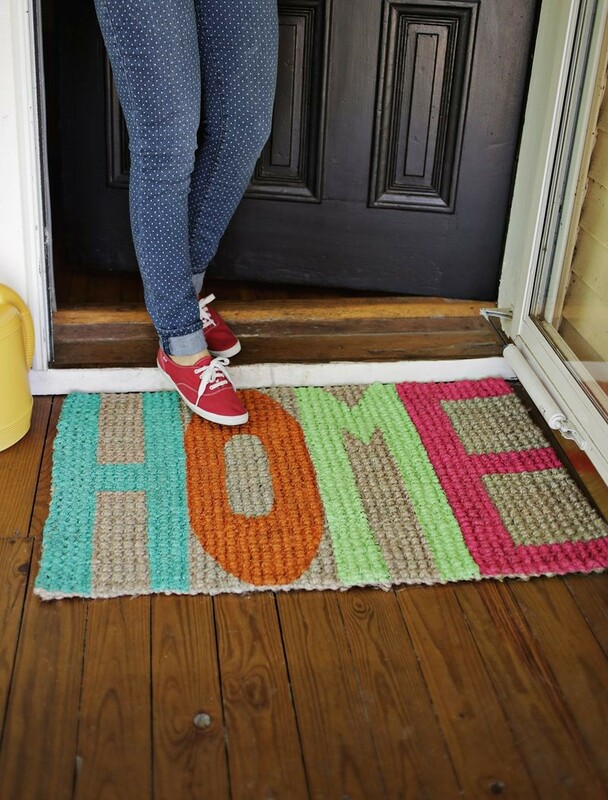 Thankfully, wonderful people all over the internet have shared the same thoughts and have created heaps of tutorials for making fun, fashionable, and inexpensive DIY doormats. This fun doormat would be perfect for summertime. It requires only a basic doormat; a sponge cut out to look like a pineapple and some paint. Even more important, the tutorial is easy to follow. 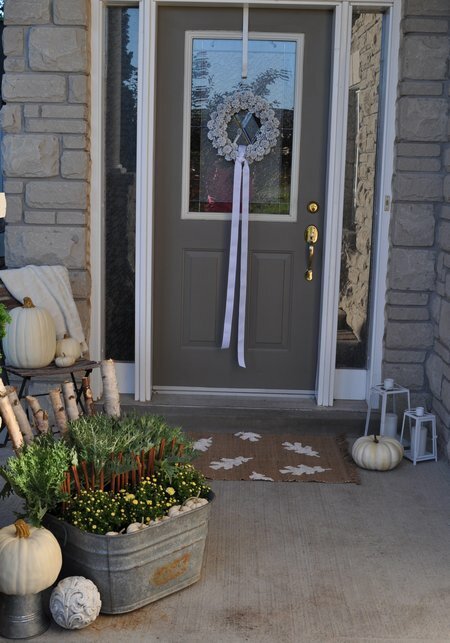 In short, you don’t have to be Martha Stewart to save a little money and still have a festive front porch. 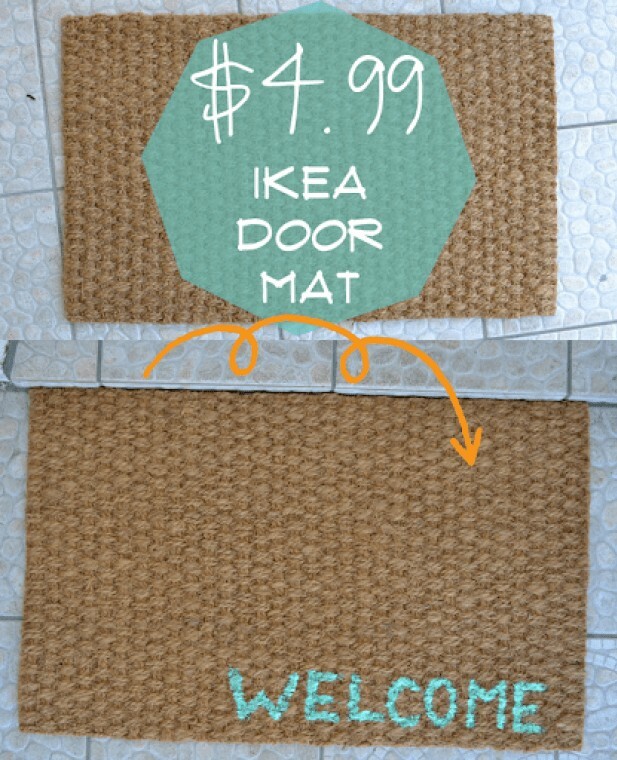 If you are looking for an inexpensive, DIY to the core, long lasting doormat, this mat could be it. It’s made from wooden slats you cut yourself. From there, you seal the boards, screw them together, and paint it for a fun and funky look for your porch. It should last a long time, seems rather simple to put together, and looks great! 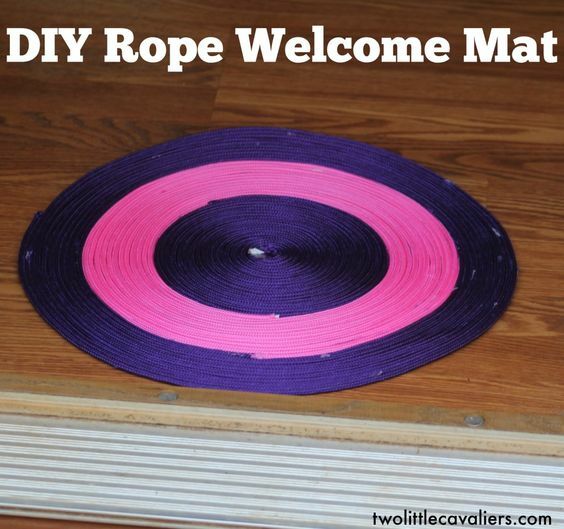 Rope welcome mats are easy to construct and give a fun look to your porch. They are also very durable to boot. 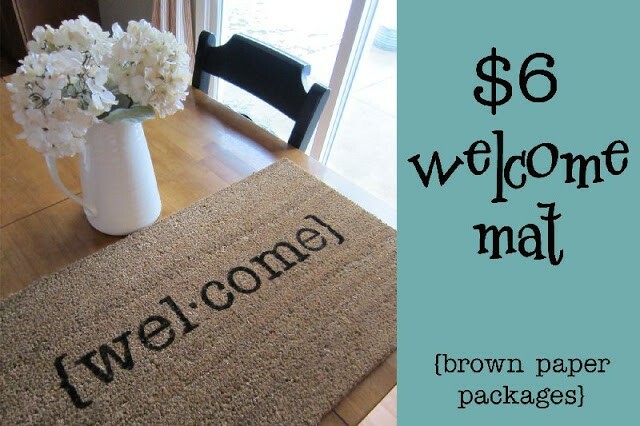 If you’re looking for a welcome mat which is simple for a beginner, this mat is it. 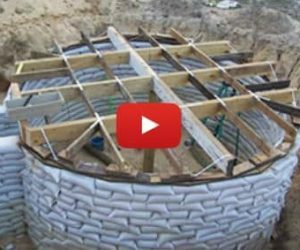 You only need some rope, a glue gun, and caulking. You’ll have a welcome mat in no time flat. 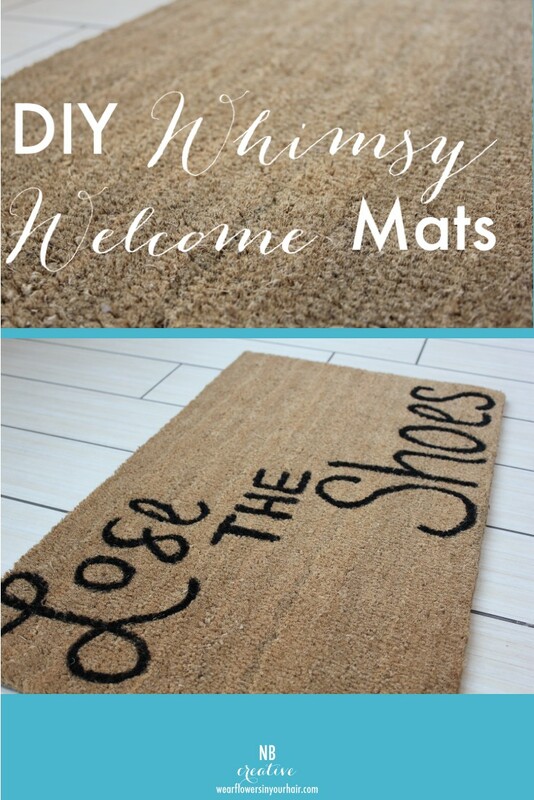 If you’re looking for a doormat with a trendy saying, but you’d like to make it yourself, you should check out this idea. Not only is the tutorial easy to follow, but the doormat itself is easy to make. You need some paint, a few pieces of adhesive tape, and a cheap doormat. It’s simple. This doormat is a cute option for summer or if you are lucky enough to live near the water at any time throughout the year. However, the tutorial is all done in pictures making it more difficult to follow. But if you have an artistic side, you could probably create this mat with no problem. 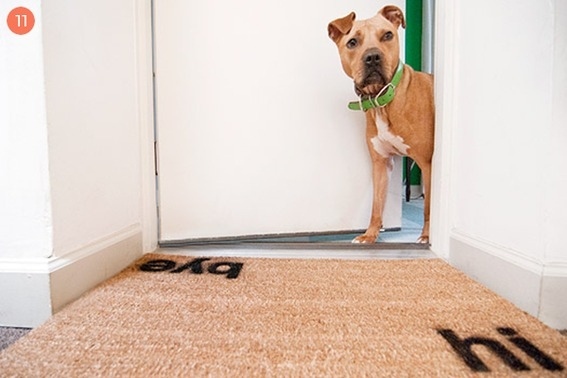 This doormat is a fun option which would work well in any area. However, it would undoubtedly be a great look for a beach setting. Either way, the tutorial shows you all of the materials you’ll need and also gives detailed pictures on how to create the braid in the rug. 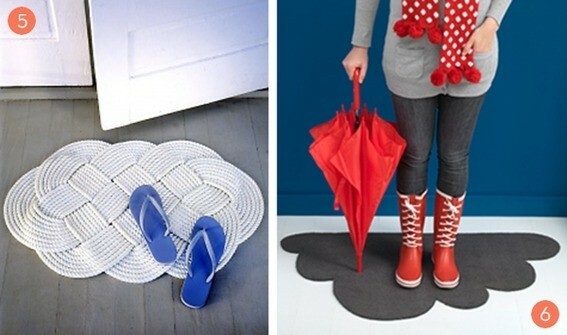 This doormat is one which will vary for anyone who creates it. 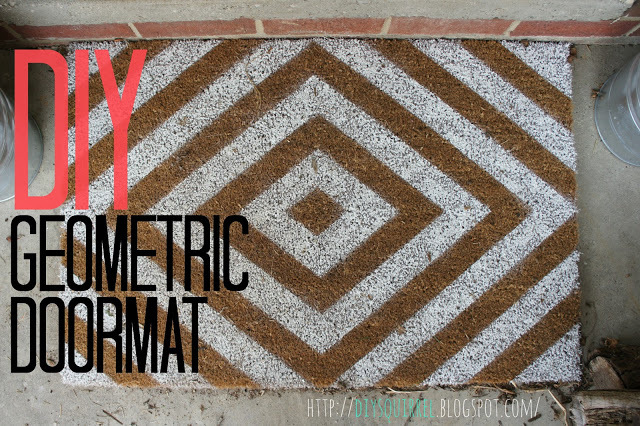 You come up with your design, but the tutorial shows you how to apply it to a plain doormat. From there, you can create as unique of a doormat as your heart desires. 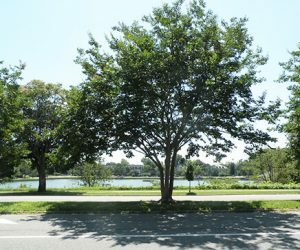 Your home will be set apart a little more for it. 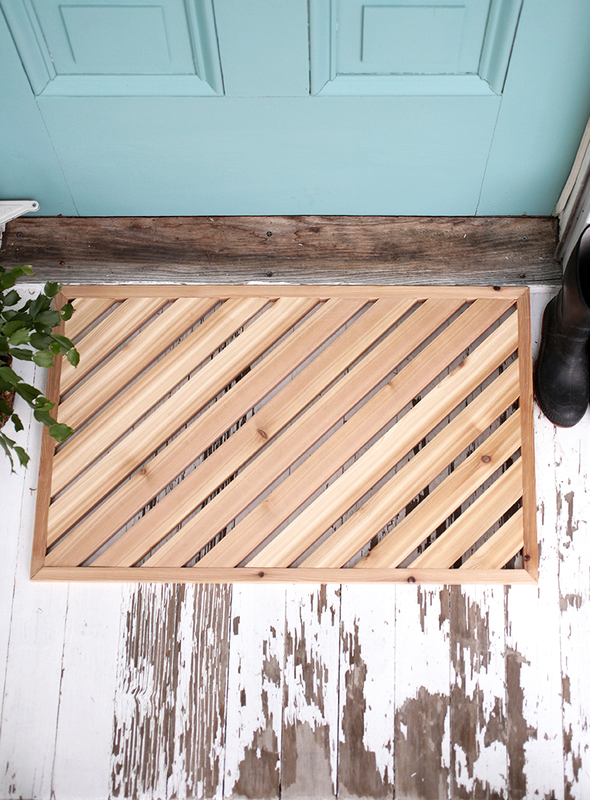 If your decorating budget is meager at best, this DIY doormat could be just what you need. You start with a basic doormat. From there, you’ll use stencils and spray paint to create a geometric design which is unique to your taste. I’ve seen these doormats everywhere on the internet. If you try to purchase one, you’re going to pay a premium price. But what’s alarming is they don’t cost hardly anything to make. 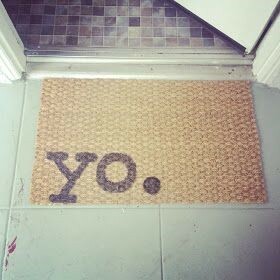 You need a basic doormat, a ‘hi’ stencil, a ‘bye’ stencil, and some paint. I mentioned a wooden mat above, but this mat is a little different. It’s much simpler. You cut some boards into the desired size slats. From there, you bolt them together and stain them. You can paint the mat a fun color or monogram the mat. 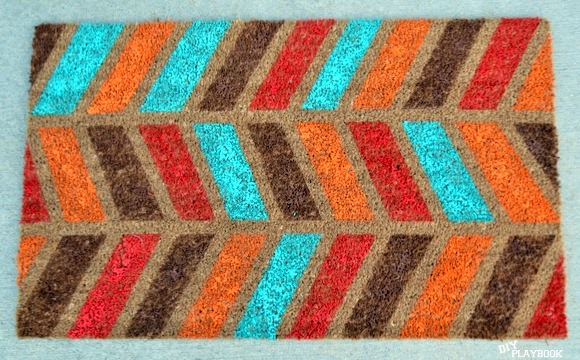 When I saw this doormat, I instantly imagined it hanging out in a dorm room hallway. It would be great for any size house, bedroom, or apartment too. 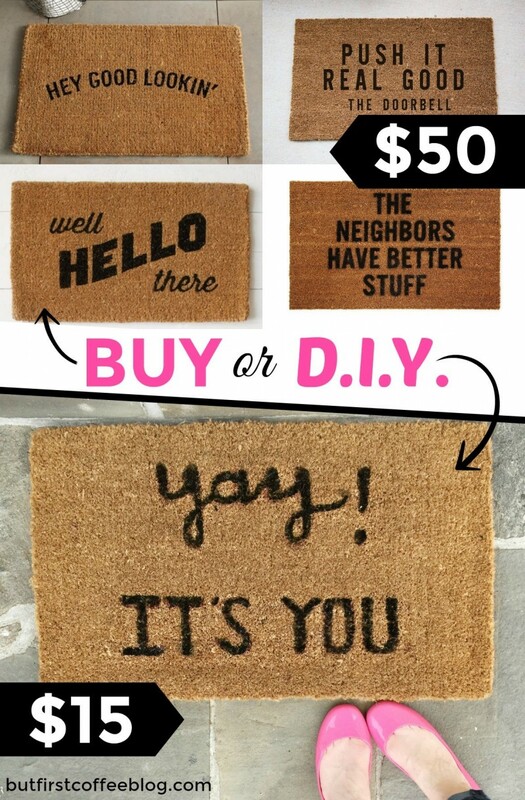 Whatever your living situation, you can easily create a doormat which looks like a quote bubble and insert any fun saying inside of it by following this tutorial. As soon as I saw this tutorial I was instantly kicking myself for a welcome mat I threw out a couple of months back because it was worn out. It didn’t cross my mind to repaint it. Well, I can’t say this tomorrow. 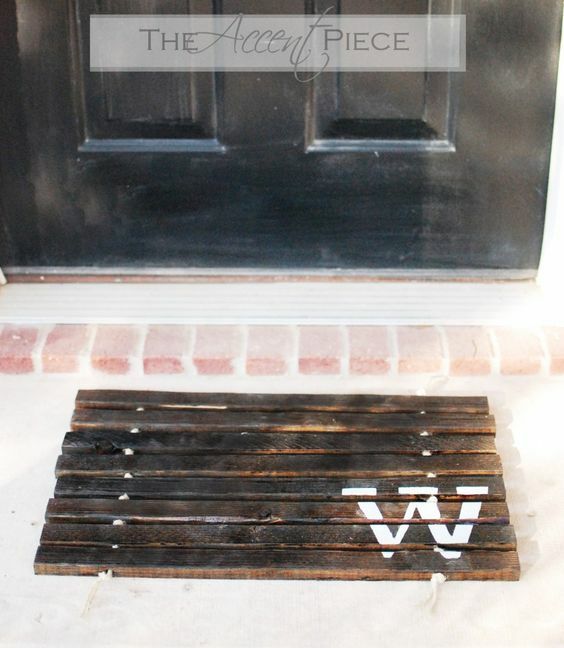 This tutorial shows you how to give an old doormat a brand spanking new look with only a little paint. If you want a colorful addition to your porch, check out this simple tutorial for a herringbone doormat. You’ll put the design on the mat using masking tape. 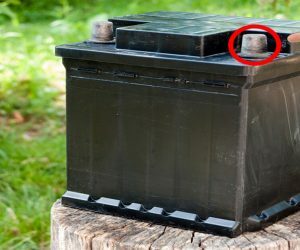 From there, you paint around the design and peel the tape off when done. I know what you’re thinking. All of these tutorials look great, but you are far from being a DIY-friendly type of person. Well, I can understand this because I’m in the same boat. Which is why I love this tutorial. Not only can you create a great looking doormat, but they also give you a template to take all of the guess work out of it. This is an excellent idea for a unique doormat. You need a basic doormat to start. You’ll place a bowl in the center of the mat to trace a circle. From there, you’ll trace a large stenciled letter. Finally, you’ll finish the project by filling everything in with paint. 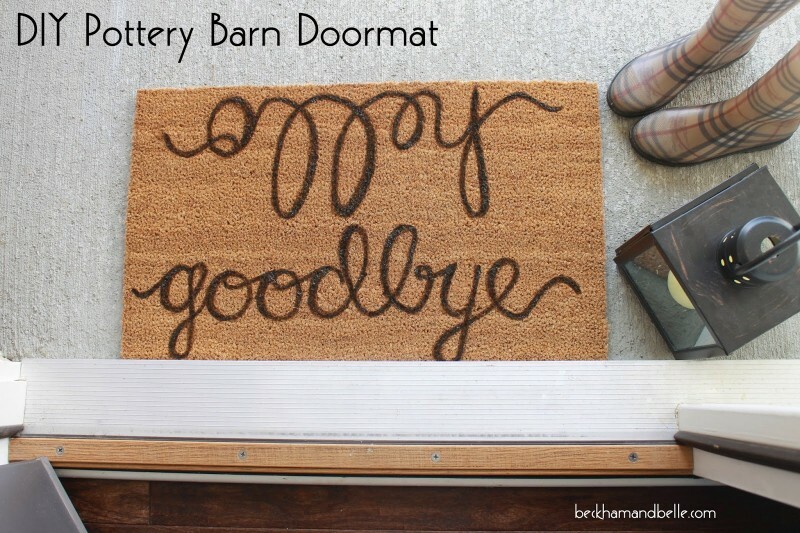 This doormat was created because the creator of it was tired of coming home to the same tired old rug day in and day out. If you feel the same way, consider writing the word ‘home’ on your doormat in bright colors. It’ll cheer your doorstep right up. Many people love what the Pottery Barn has to offer, but if you’re working on a budget, it can be difficult to afford what you like. Which is why this doormat is so awesome. It looks similar to the one you would purchase at the Pottery Barn, but instead, you make it yourself which makes it practical for most budgets. We all like to decorate our homes for different seasons. It’s part of being festive, but if you’ve decorated for very long, you know how expensive it can be. Well, don’t spend a fortune on a fall doormat this year. 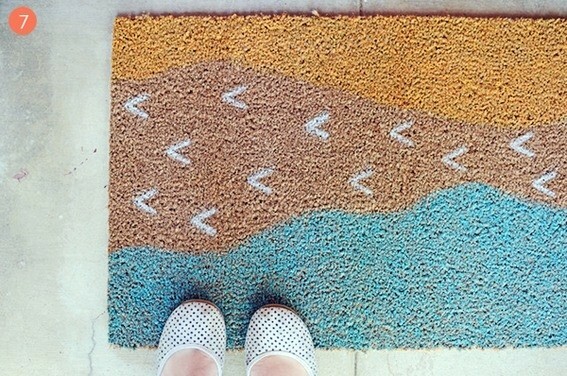 Instead, create your doormat with paint, a plain rug, and leaf stencils. When Christmas comes calling it can often mean trouble for our checkbook. Not only are gifts expensive, but the décor gets high-priced too. I love the tutorial for an ornament shaped doormat. It’s DIY, very cost-effective, and would look fantastic to decorate with during winter. 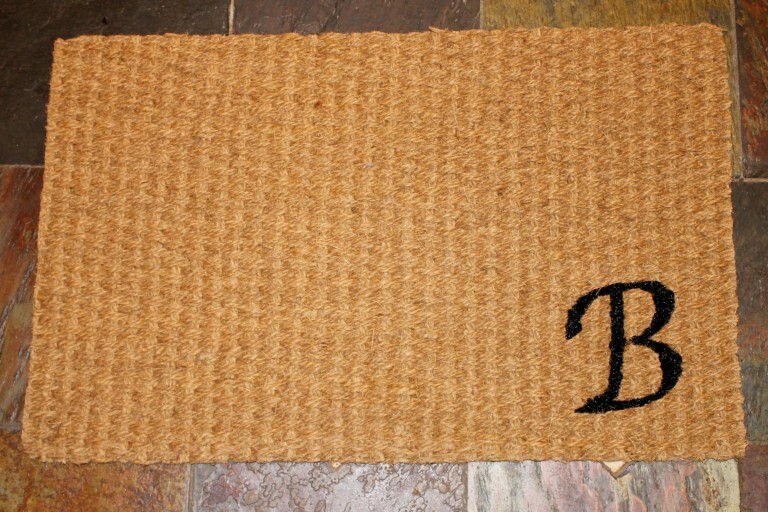 This doormat is very simple, yet will add a splash of style to your home. You’ll need a basic doormat, paint, and a stencil. Once you have your supplies, you’ll need to put the stencil at one of the corners of the mat. You trace and fill the letter with paint. You’ve completed your monogrammed rug when it dries. Let’s say you don’t want monograms or fancy writing on your doormat. 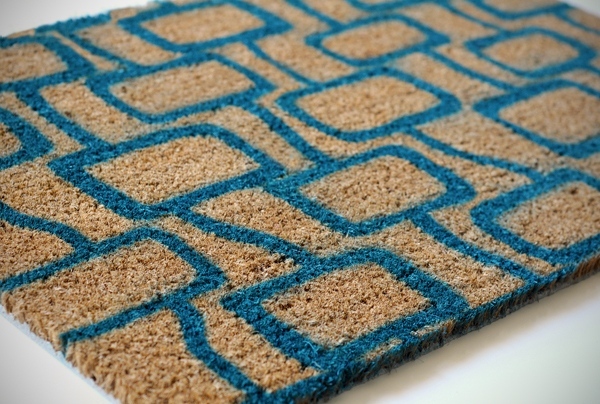 You merely want a sensible mat which will add a little oomph to your doorway. Well, this doormat could be it. 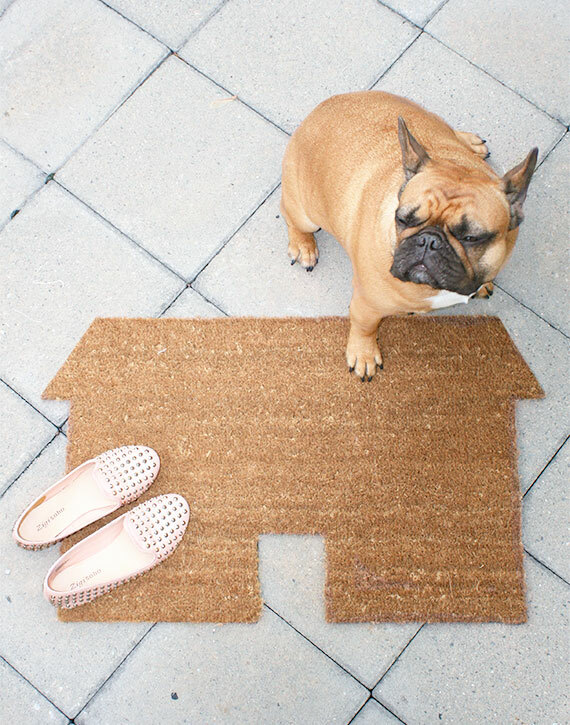 You take a basic doormat and cut it into the shape of a house. Once you’ve cut it to shape, you’ve finished a simple doormat with style. I’ve covered a couple of versions of wooden doormats. I wanted to include this one because it’s a little different. 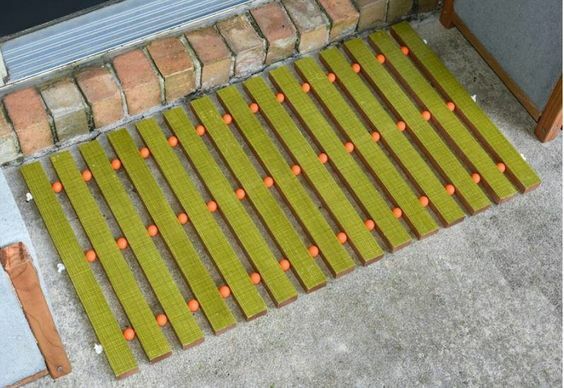 When you create this doormat, it’ll be framed and filled in with slats. The frame gives the doormat a more finished look and also gives you a place to scrape your feet if needed. Nothing says spring like a spring rain shower followed by a gorgeous rainbow. If you want to add a touch of spring to your doorway, consider making this rainbow doormat. You’ll only need a rug, some craft paper, and some paint. Follow the tutorial, and you’ll have a great welcome mat in no time flat. This rug is extremely simple. I feel confident most people could create it without much fuss. You need a plain outdoor carpet to start with. You’ll write ‘welcome’ on the bottom corner of the rug. You could use a stencil or freehand it. Whichever method works best for you. When you’ve finished with the writing, your rug is done. The tutorial for this rug is awesome. You’ll need a plain rug, paint, and sponges. This tutorial is thorough and shows you each step, including how to cut the sponges to look like watermelons. 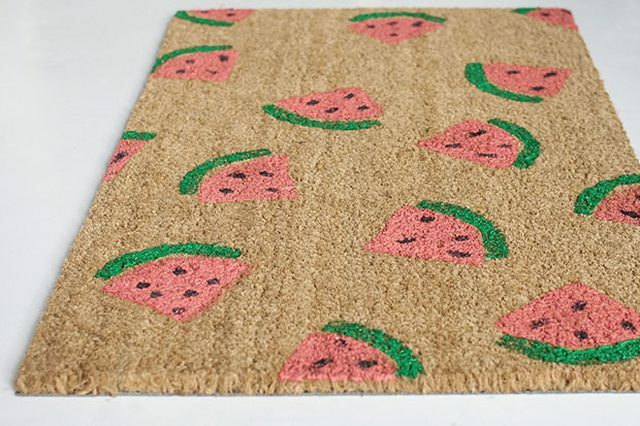 From there, you’ll dip your watermelon sponges into different paint colors and leave their imprint on the doormat. Your rug should come together rather easily. 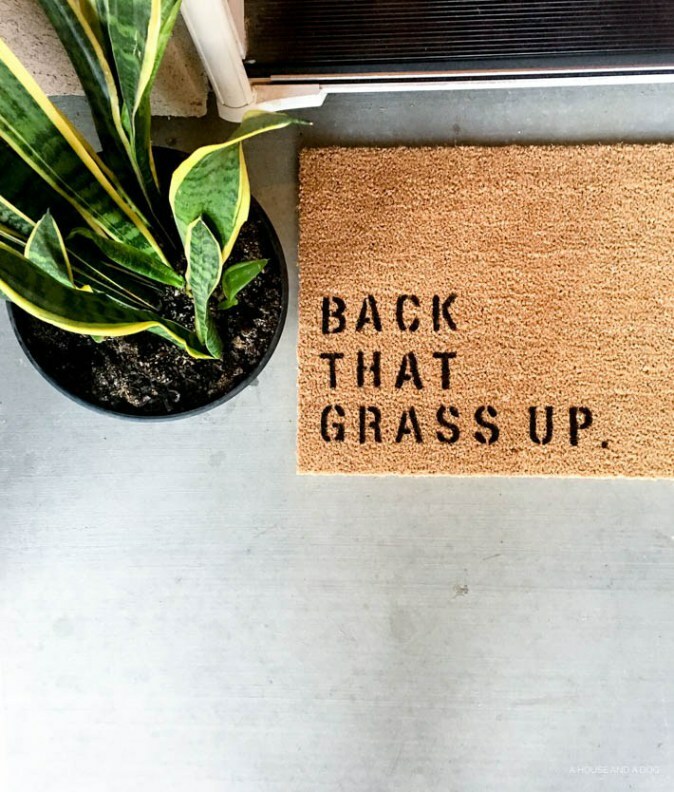 Who says you want a welcome mat with a long phrase on it? Who says you even want a welcome mat with the word ‘welcome’ on it? 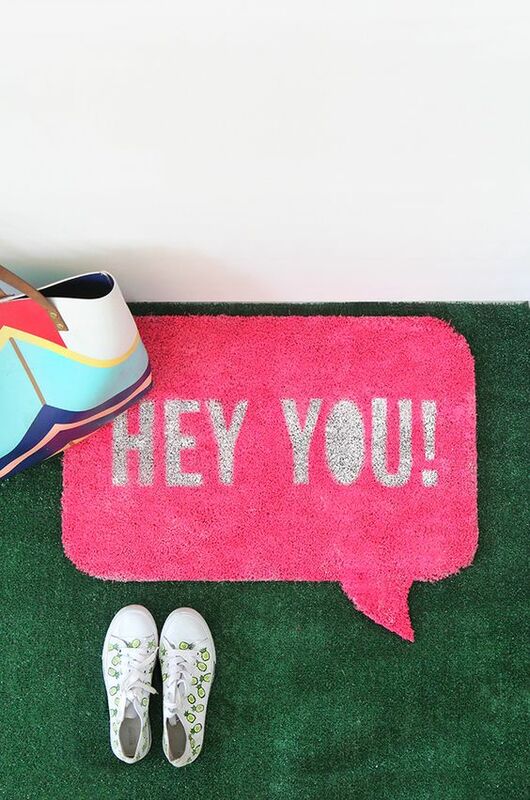 Well, thanks to this tutorial you can now create your DIY welcome mat with one small phrase on it. … yo. It says it all. Are you a dog-lover? Do you want everyone who comes to your door know how much you love your four-legged friends? Well, consider creating this painted doormat. You stencil the phrase on the mat and fill it in with paint. Which is all there is to it. 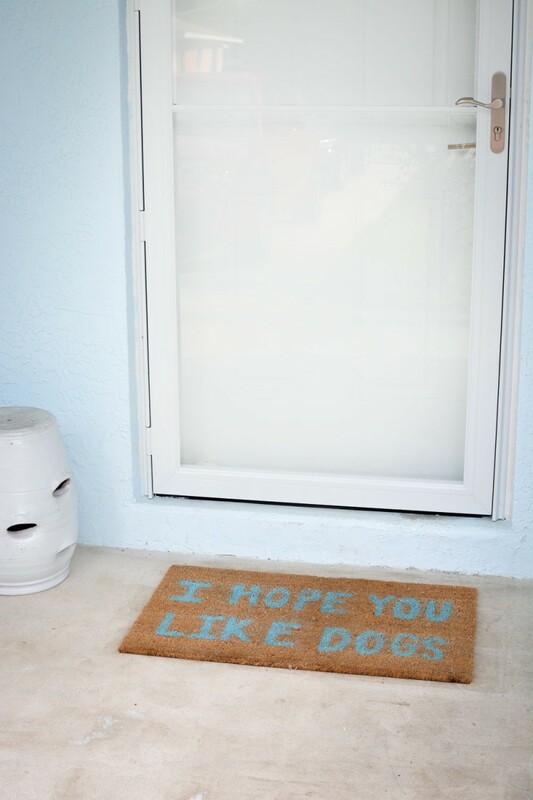 If you want a friendly doormat, you should consider creating this one. Instead of your basic ‘welcome’ message, this one has more enthusiasm. If you’re looking for a festive and fun summer welcome mat, you’re going to love this idea and tutorial. You’ll paint this welcome mat yourself, like other mats mentioned. However, the phrase is what sells this tutorial. Instead of a basic ‘welcome’ message, you paint the words ‘back that grass up.’ It lets people know to take their shoes off, while also bringing a favorite, old rap tune to mind. This design is straightforward and inexpensive too. 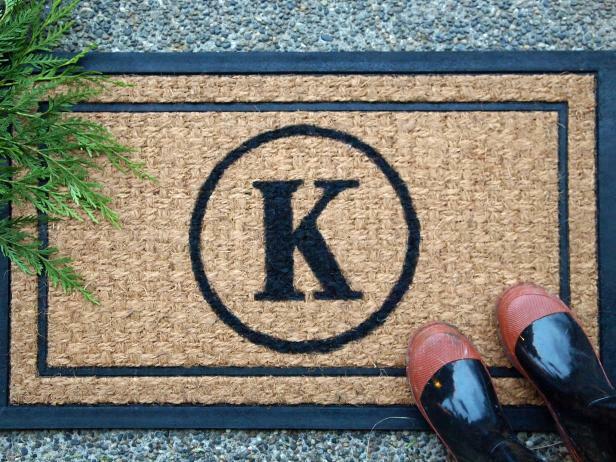 If you’re in the market for a basic welcome mat, you’ll love this idea. The mat will be painted and stenciled. When you do this, you’ll apply a message where welcome is broken down into two syllables. It makes it unique while still keeping the mat simple. 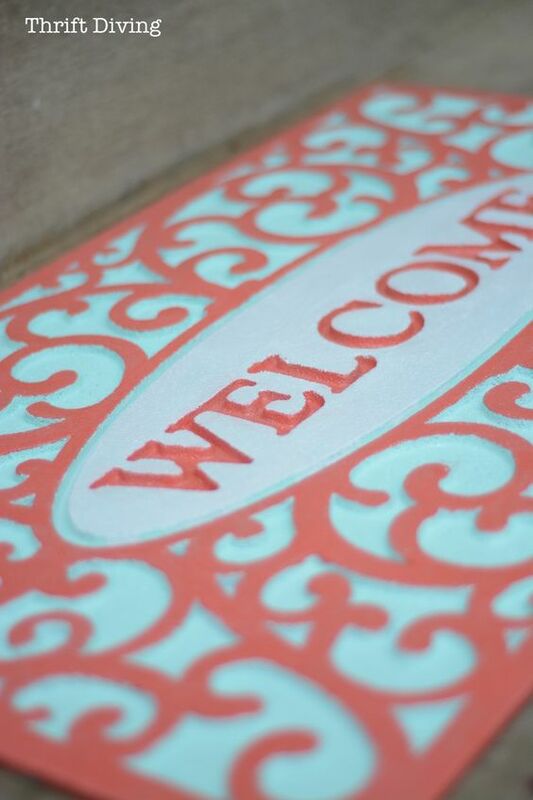 This welcome mat is another stenciled idea like many of the other ideas mentioned here. What makes this one cool is the message. 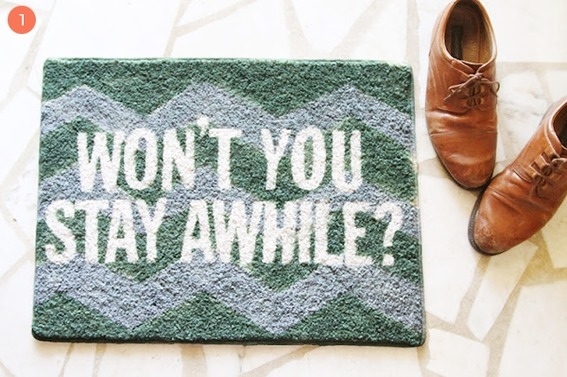 Instead of being rude and yelling, “Take your shoes off” to everyone who enters your home, you can send the message with this mat. It reads, “Lose the shoes.” The point gets across comically and stylishly. Do you want a welcome mat which will allow your personality to shine in its unique way? You’ll love this mat. 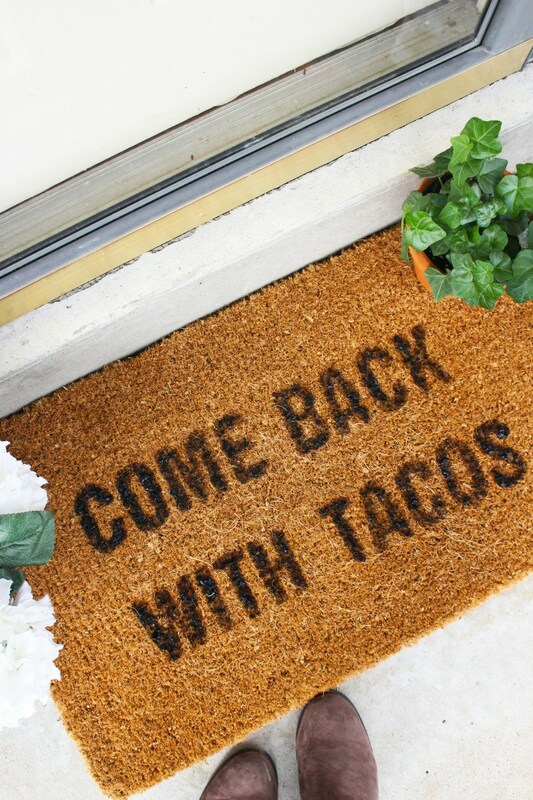 Instead of it reading ‘welcome,’ like many traditional welcome mats, it reads ‘come back with tacos.’ It should give your guests a laugh while creating a unique atmosphere for your home as well. You now have over 30 different options for creating your welcome mats and save money in the process. But I’d like to hear from you. Have you ever made welcome mats? Do you have any tips for beginners? We’d love to hear from you. Leave us your thoughts in the space provided below.